The United Nations on Friday called for “unhindered humanitarian access” to people fleeing the last pocket of Islamic State jihadists in eastern Syria. In the past week alone, the U.N. says more than 10,000 people have fled from the conflict zone to Al-Hol, where the main camp for people displaced by the fighting against IS is located. Since early December at least 29 young children and newborns died on their journey or shortly after arrival at the camp, according to the U.N.
“Humanitarian actors have collectively requested forces in control of the area to designate a transit site en route for Al-Hol where life-saving assistance can be provided,” said Andrej Mahecic, spokesman for the U.N. refugee agency (UNHCR). So far the request “remains unanswered,” he told journalists in Geneva. The area is under the control of the Syrian Democratic Forces, backed by a U.S.-led coalition, which are battling the last shreds of the IS “caliphate” near the town of Hajin in the Euphrates River valley. Once reaching the SDF positions, “they describe being herded into open trucks and having to endure another arduous journey in winter weather northwards to Al-Hol camp,” a UNHCR statement said. “We reiterate our calls for unhindered humanitarian access. It is vital that our teams are able to deliver life-saving humanitarian assistance, especially during this harsh winter period,” Mahecic said. 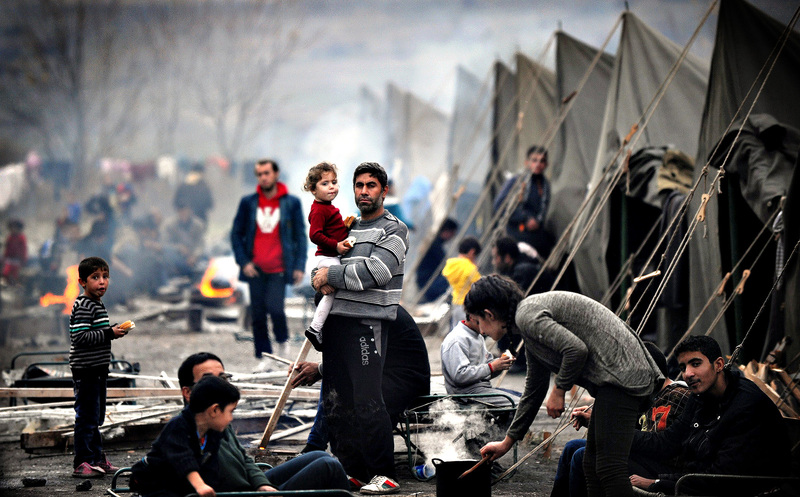 Since the Syrian uprising and following war eight years ago, over one million Syrians have fled to neighboring Lebanon. They live in makeshift camps with poor infrastructure and tents housing. Earlier this month, storm Norma hit over 547 of those settlements, endangering over 22,000 refugees. A week later, storm Miriam followed, affecting another 23,000 refugees in 626 different sites. Although many local and international NGOs started preparing for the winter season by distributing winter clothes, boots, and blankets ahead of time, storms Norma and Miriam caused the situation to deteriorate quickly.